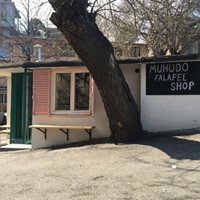 A new kid on the Zandukeli block, this small restaurant offer "fast" falafel, handmade with love and attention to excellence! The decor is fresh and the service friendly. This locale and its offerings are already proving to be a hit with local falafel lovers!